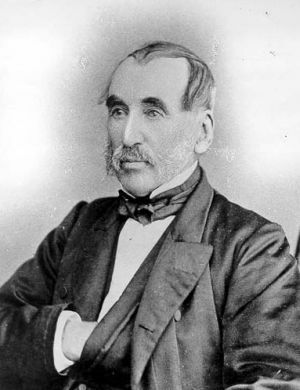 Thomas George Gregson (1798–1874), politician, was born in Northumberland and migrated to Van Diemen's Land in 1821, establishing a farming property. As a leading protagonist for free settlers' rights, Gregson came into frequent conflict with Lt-Governor Arthur, for whom the demands of a penal colony took precedence. After Arthur's recall in 1836, Gregson fought a pistol duel with Arthur's supporter Henry Jellicoe, and horsewhipped his nephew, Henry Arthur – and was imprisoned. The new lieutenant-governor, Franklin, remitted the sentence 'to allay public feeling'. Gregson was the leader of the Patriotic Six, a group who in 1846 left the Legislative Council without a quorum, after refusing to support taxation without representation. Elected to the first House of Assembly in 1856, Gregson was Tasmania's second premier (for two months), and retired in 1872.